Turn your pet picture into a high ranking admiral of the ocean sea. By buying this product you can collect up to 65 loyalty points. Your cart will total 65 points that can be converted into a voucher of $13. 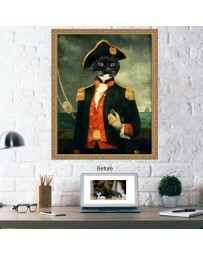 This cat portrait painting from your picture or dog painting is sure to give you and your good friends quite a chuckle. Pet owners know that much like us, each pet has its own unique and distinctive personality. 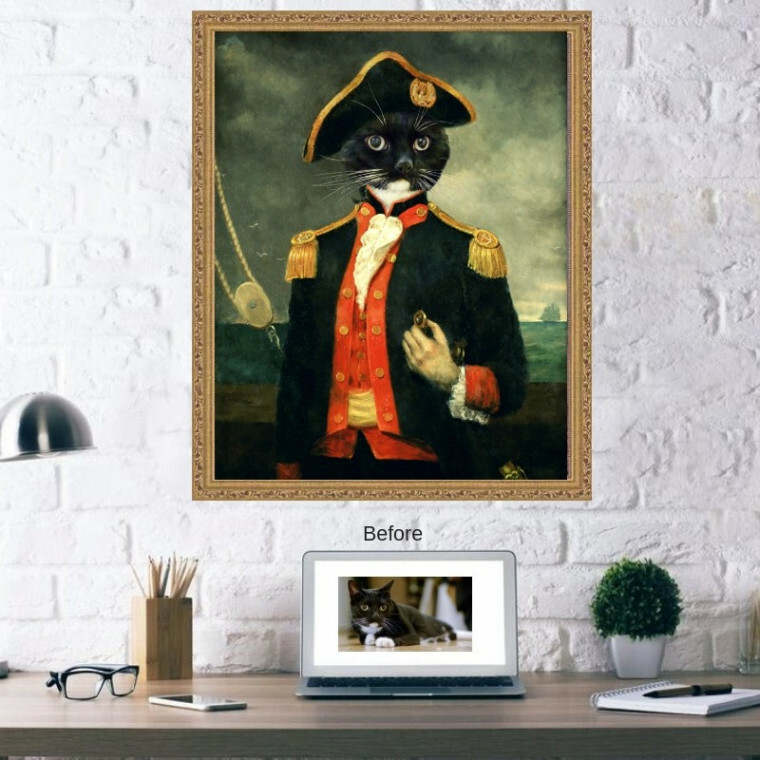 Our artists will create your admiral pet portrait with care and detail. You can choose from several different sizes and finishes and checkout the proof before we have it delivered to your door. 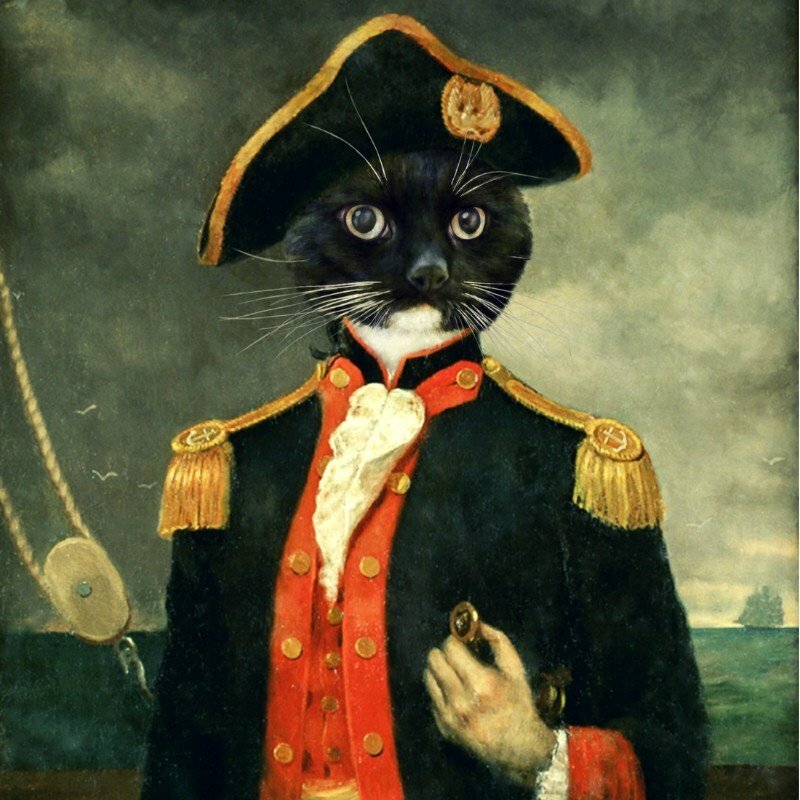 Let your pets command the seas in admiral style! 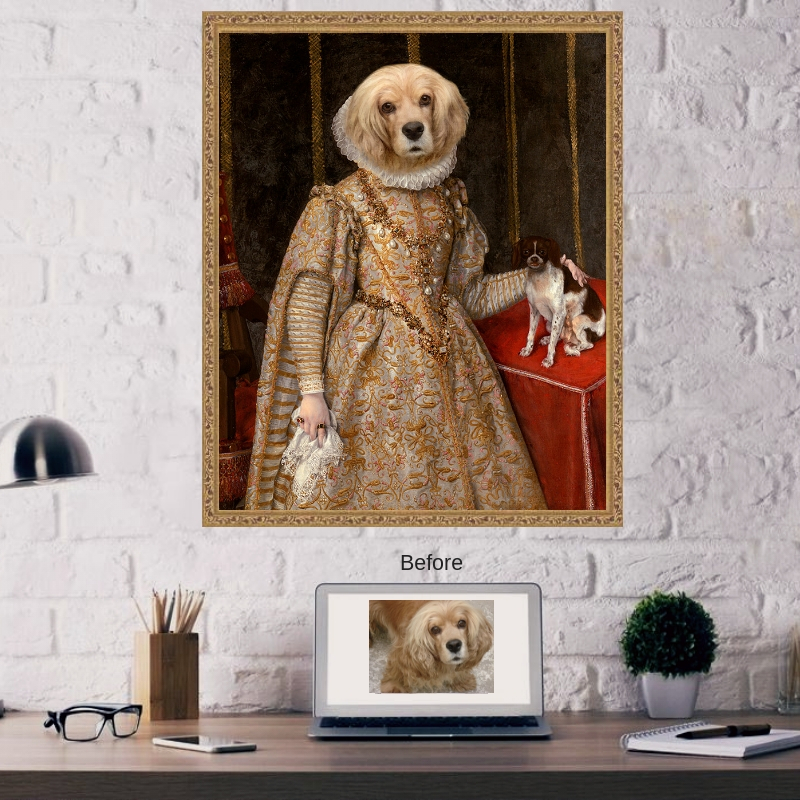 Humorously delightful gift for all ocassions and decor. High Quality canvas handstretched in the U.S. A over real wood. 100% Love it Guarantee. Return or Exchange in 30 days. Quick turnaround ships in 7-10 days from approval. Rush shipping is available if needed for a specific date. Made with premium quality materials for ehanced durability.